I've been appreciating my own company this week. That sounds like quite a weird thing to say but I realised how little time I spend taking care of myself. I'm either at work, writing blog posts, in Southampton or staring absent-mindedly at the television. Jo from She Wears Burgundy wrote a blog post about falling in love with yourself, which you can find HERE. Her post has really resonated with me lately for a number of reasons. I'm continually picking out my faults: my nose is becoming a little crooked, I have scars on my face from when I had bad acne as a teenager, I still get acne on my back and chest, my hair is flat, I have cellulite and on and on and on... I beat myself up about the smallest things. I haven't really considered how harmful these thoughts are to myself. For a long time I've perhaps been naive and depended on other people for my own happiness. In all honesty, I've lost a sense of self since I graduated from university. My best friend (she knows who she is) reminded me, in the toilet in a club last weekend - very classy, of the person I used to be. So this week I've been trying to be that person again. I want to be independent, I want to spend time with all my friends, who I may have neglected after graduating, and I don't want to get home from work and fester until I go to bed. Last week, I put my plan into action! And here's what I've been getting up to (not much just yet haha). 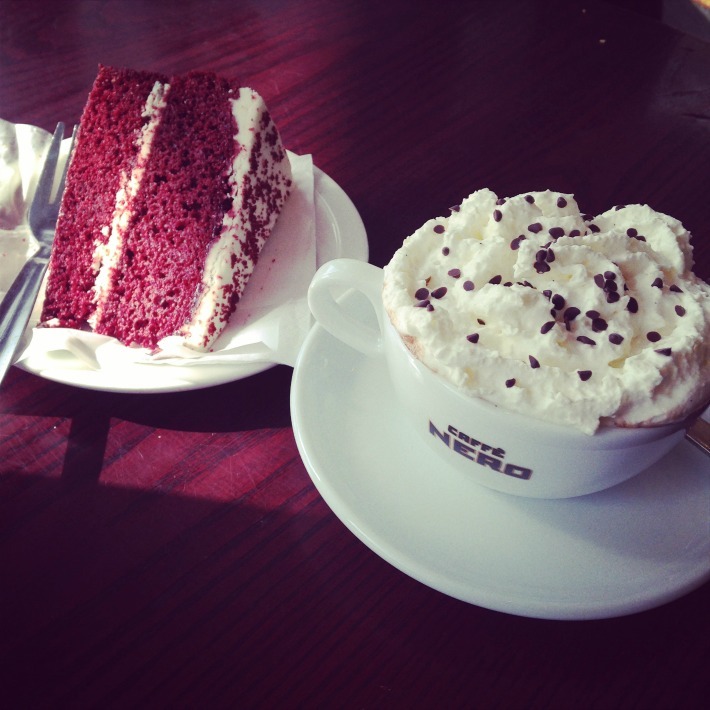 After getting back from Southampton, I sat in Caffe Nero with a slice of red velvet cake and a hot chocolate. I had the window seat; my favourite seat in any coffee shop. I love staring at passersby, wondering what they are doing with their day and where their journey across Chiswick high street will take them. 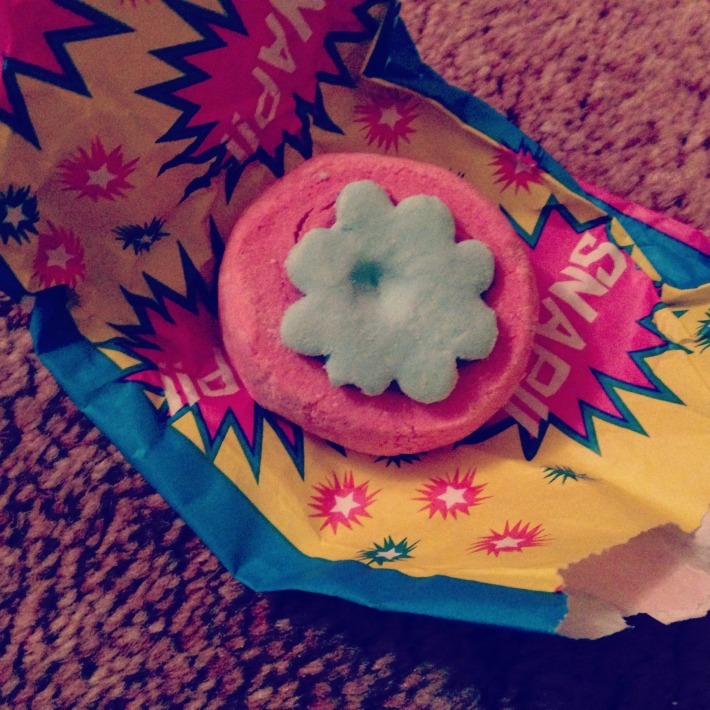 That evening I treated myself to a bath with a Lush bath bar and a face mask. It was the most relaxed I've been in a long time. I listened to music on my phone and nearly fell asleep. This is my rountine every Thursday night but I feel like I really needed it this week. I met up with one of my best friends, and someone I used to live with last year. We had a lovely lunch at Handmade Burger Co. then went back to his house armed with lots of chocolate for a much needed catch up. It was amazing to see him! I can always be a little silly when I'm hanging out with him, but I can also tell him if I'm feeling a bit down. Great post, I can totally relate :) sometimes some me time is definitely needed! A lovely post Cally :) It;s so so important to take time out, I find it can really clear your head. I want to go out for lunch alone soon - it can really do you a world of good. An even quota of seeing friends and being alone is perfect. 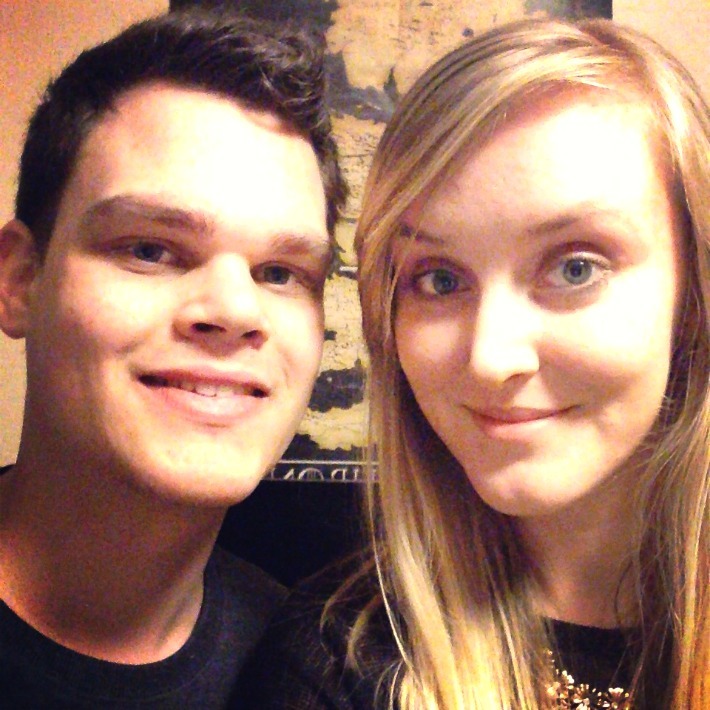 I hope you feel a little more balanced soon my dear :) Cake, facemasks and baths always help! p.s. thank you for the cheeky mention - go glad the post helped someone, even just a little! Thank you :) Like I said, your post has helped put things into perspective! Another person who commented said her best date was going to a restaurant followed by the cinema by herself. Alone time is really important, and I'm only just realising that. This is so lovely. It really is important to make some time for yourself to get back in the zone. I love sitting in a coffee shop and watching the world go by too. What an inspirational post! I can totally relate to this. I really need to think less and do more! Taking time for yourself and doing the things you enjoy are probably the most important things in life! I've been doing this too, although since I've moved to university I've been finding it hard to settle in and I'm constantly anxious if i'm ever alone! I've been moving forward and trying to think more positively and look after myself, I've recently started scrapbooking to be creative, spend some alone time but also to remember that I do have friends and some amazing memories. Love these types of posts!